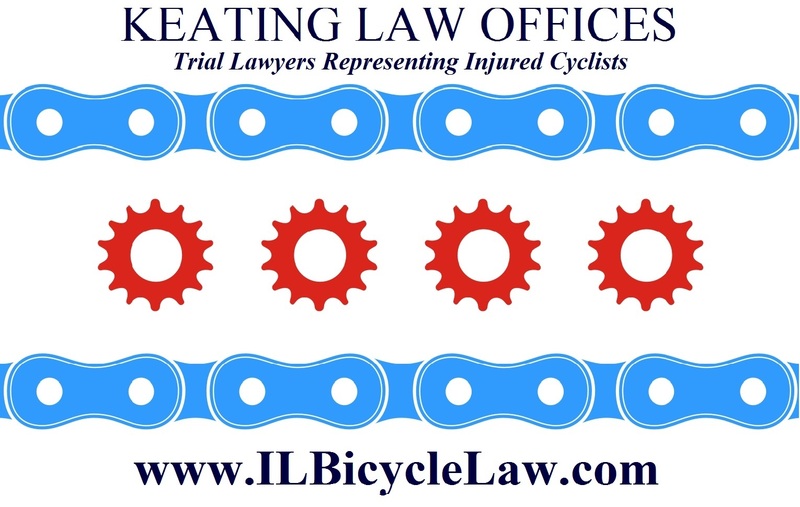 The Illinois Bicycle Lawyers at Keating Law Offices have been retained to represent a Chicago bicyclist who was struck by a taxi. The bike accident occurred on the morning of October 26, 2012 in the West Loop. The bicyclist was traveling westbound on Adams Street near its intersection with Jefferson Street. At the same time a taxi approached the bicyclist from behind and clipped the back wheel of the bike. The impact caused the bicyclist to be thrown from his bike to the street. The bicyclist was transported from the scene of the bike accident to a local emergency room due to multiple injuries he sustained in the bicycle accident. "Every driver of a vehicle shall exercise due care to avoid colliding with any pedestrian, or any person operating a bicycle or other device propelled by human or animal power, upon any roadway, and shall give warning by sounding the horn when necessary and shall exercise proper precautions upon observing any child or any confused or incapacitated person upon a roadway." Keating Law Offices has already contacted the insurance company for the cab driver and cab company responsible for this bicycle accident. 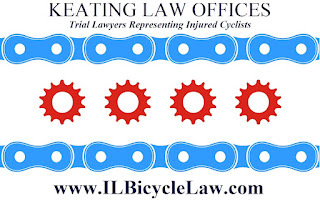 As a part of prosecuting this claim, the Illinois Bicycle Lawyers will be seeking compensation for all of the bicyclist's personal injuries, including pain and suffering, disability, lost wages, and medical bills. If you have any questions regarding this post or an issue involving Illinois personal injury law, please contact Illinois Bicycle Attorney Mike Keating at (312) 239-6787 (Office) or (312) 208-7702 (24/7) or MKeating@KeatingLegal.com. All e-mails and phone care are returned promptly. Initial consultations are confidential and free.